The Whitney Art Party and Auction was held last night. The host committee consisted of a range of who's who in the fashion celeb world, that have a personal, distinct sense of style like Rachel Bilson, Camille Belle, Eva Amurri, Katy Perry, Rachel Zoe, and Tinsley Mortimer, to name a few. Not surprisingly, attendees showed up in some art-y inspired ensembles. 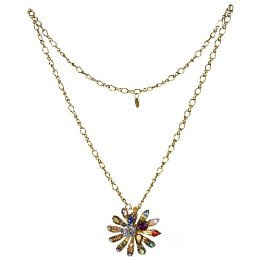 I was immediately struck by the Erickson Beamon (the most amazing jewelry, though quite out of this girl's price range- thank goodness for the Target collaboration!) 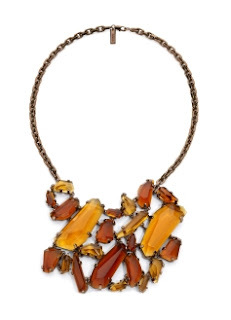 necklace worn by Ali Larter above, as seen on In Style magazine's website. 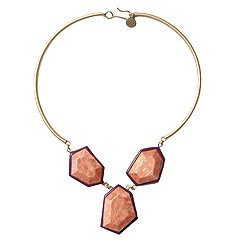 It recalls, not only the trend of large statement necklaces, but has that geometric art appeal. 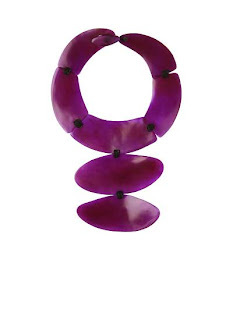 Check out some other gorgeous options below.